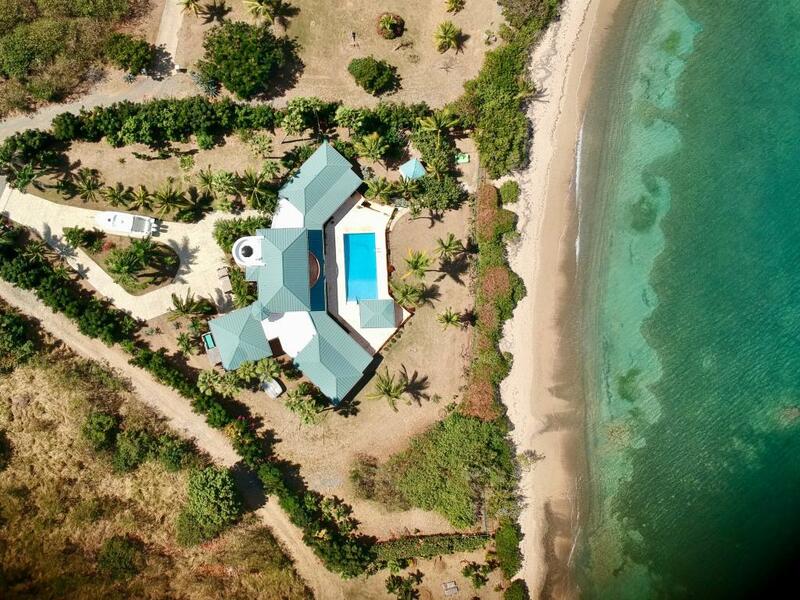 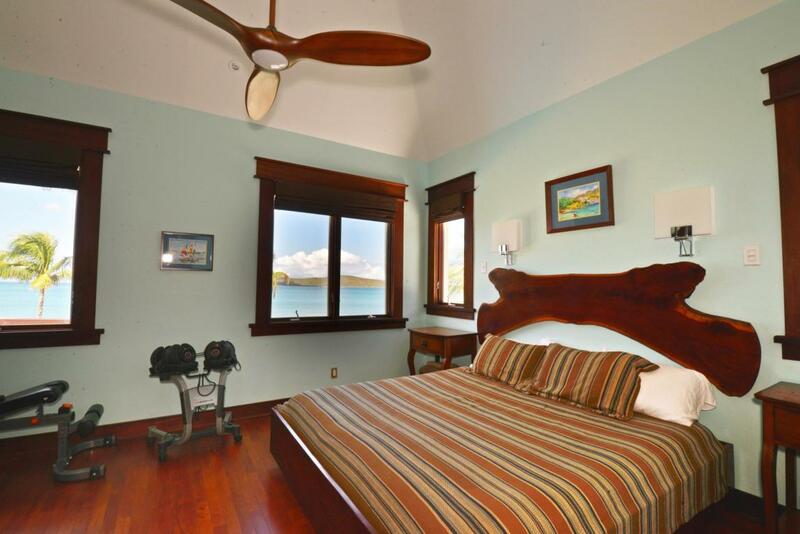 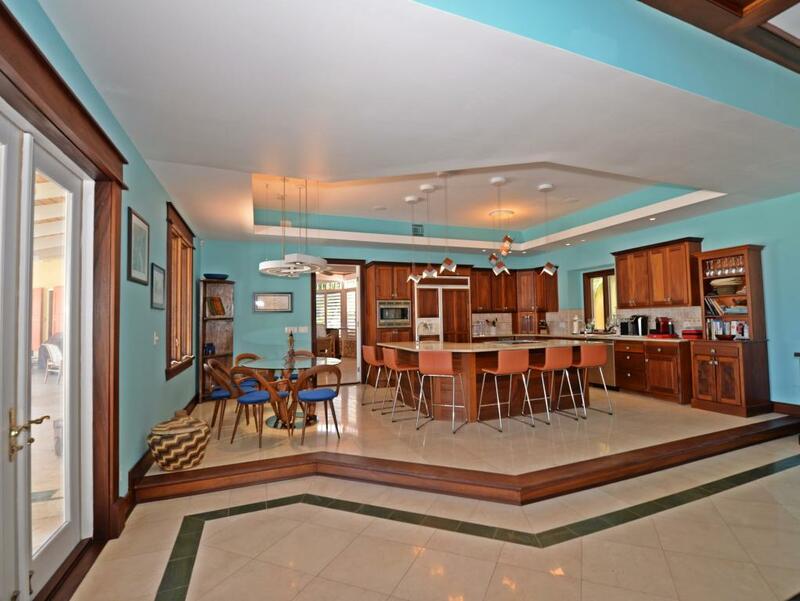 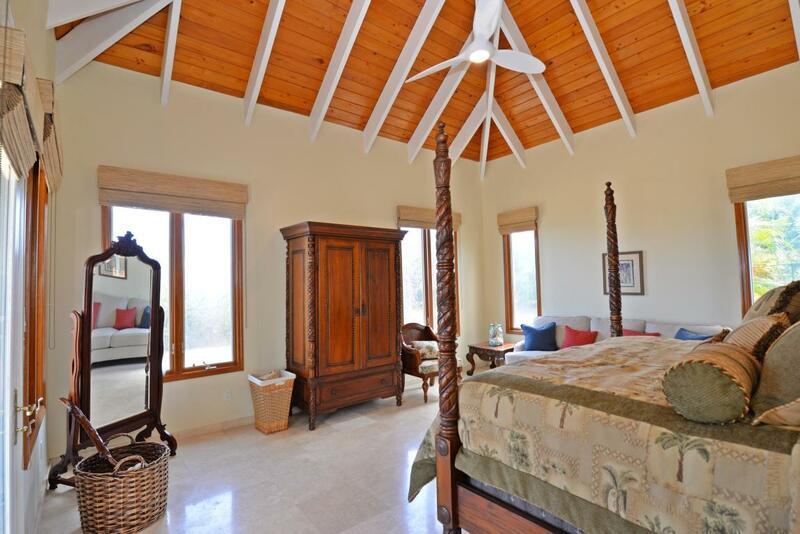 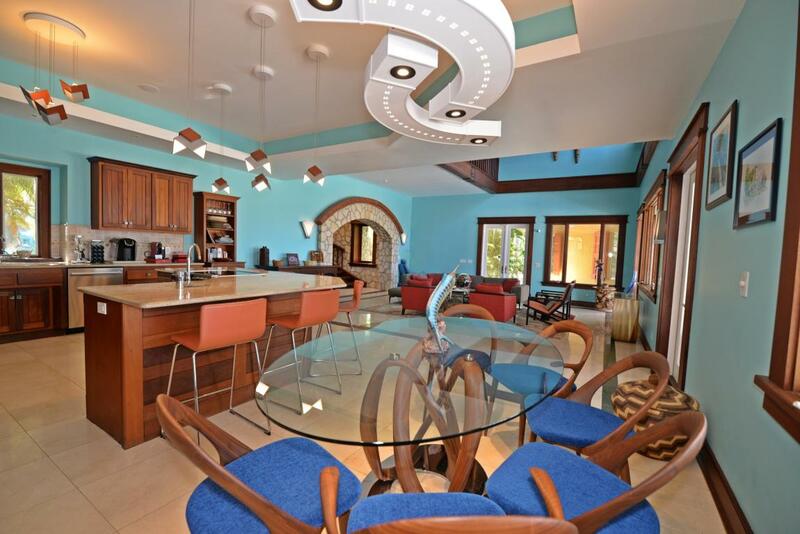 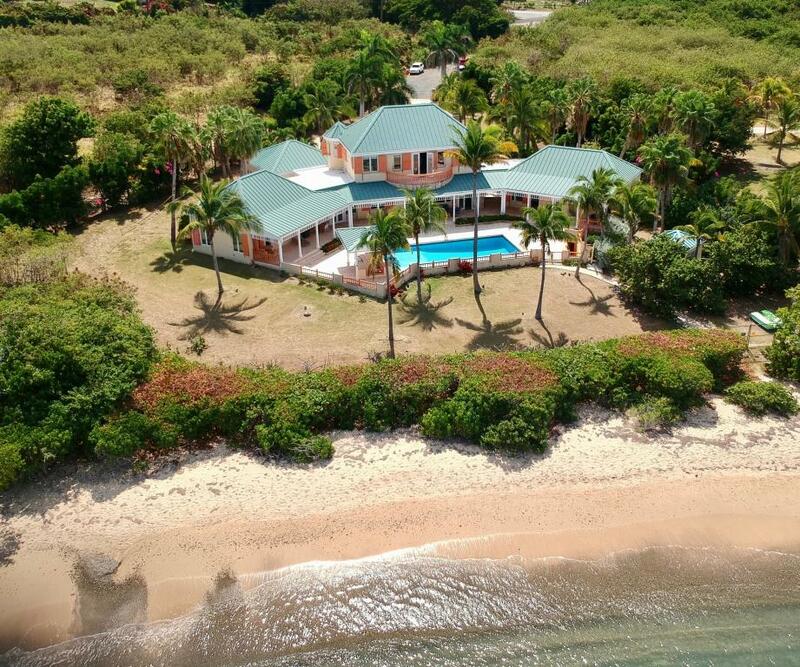 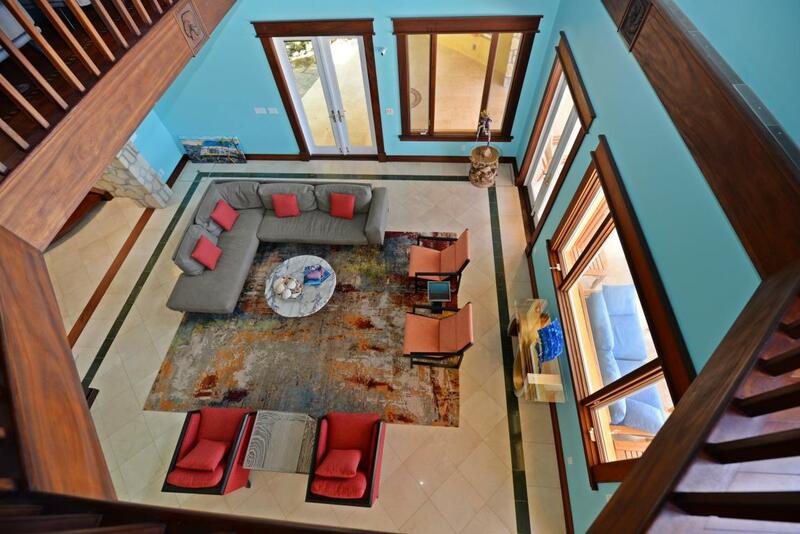 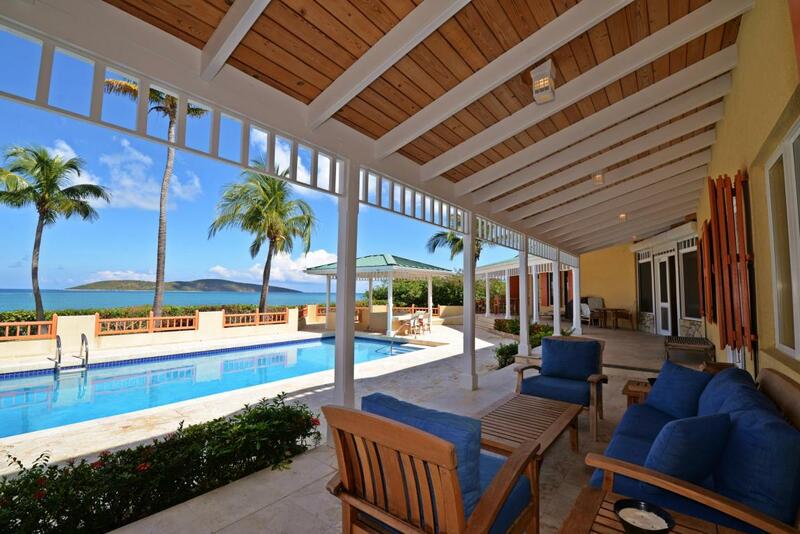 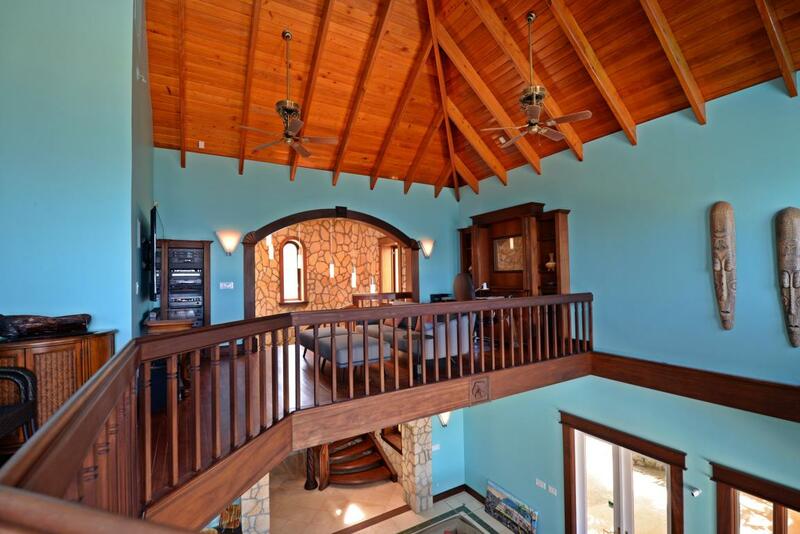 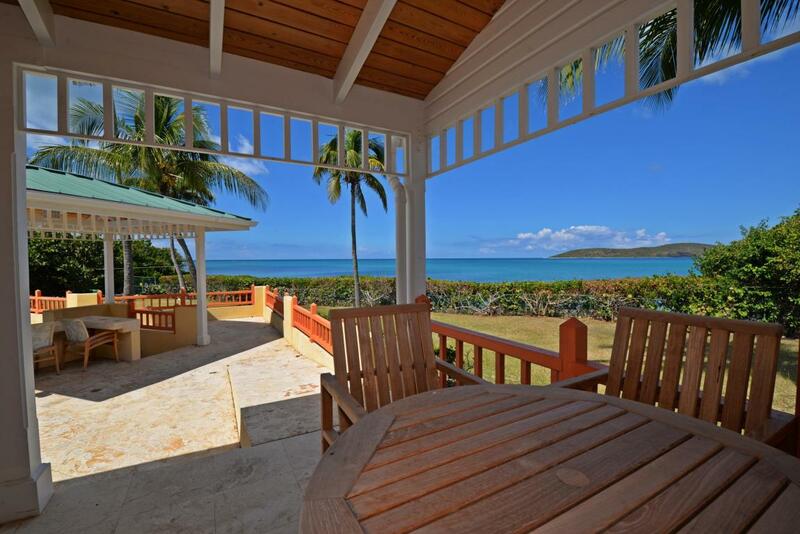 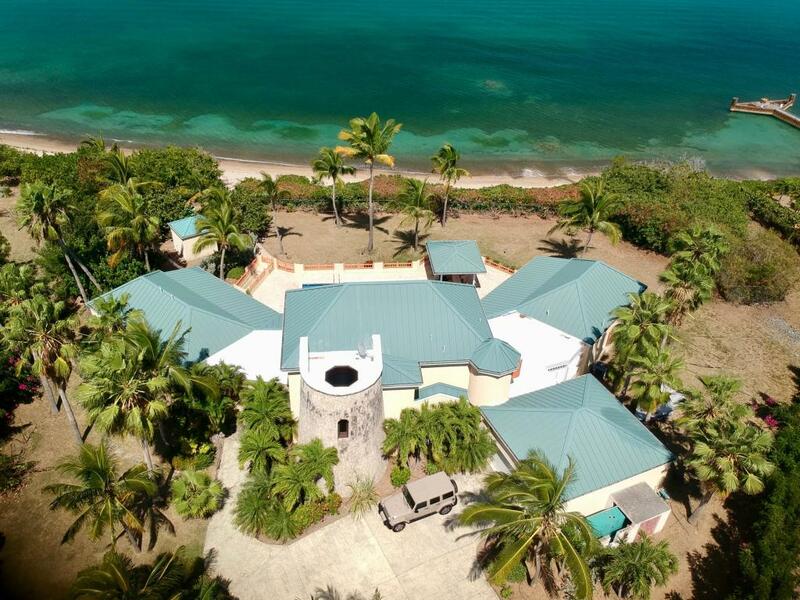 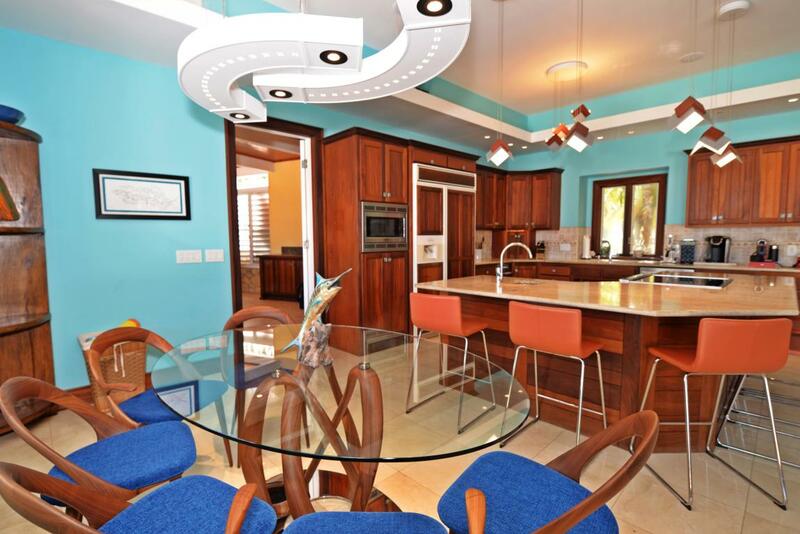 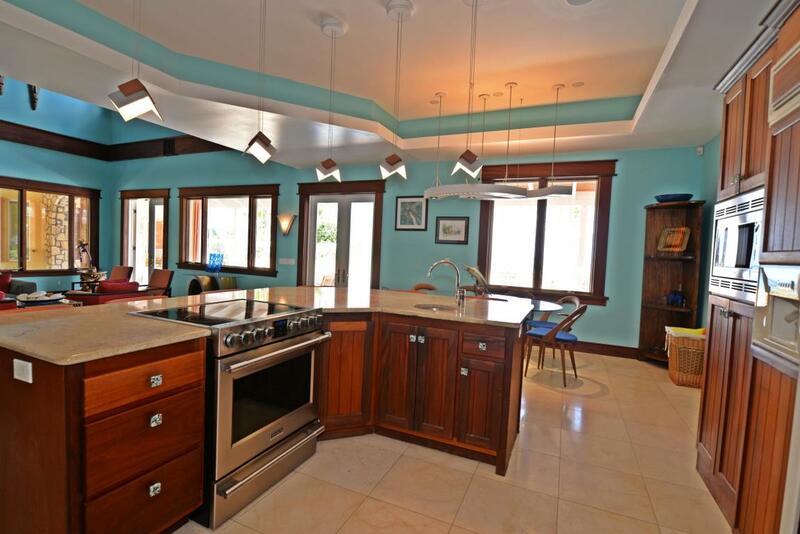 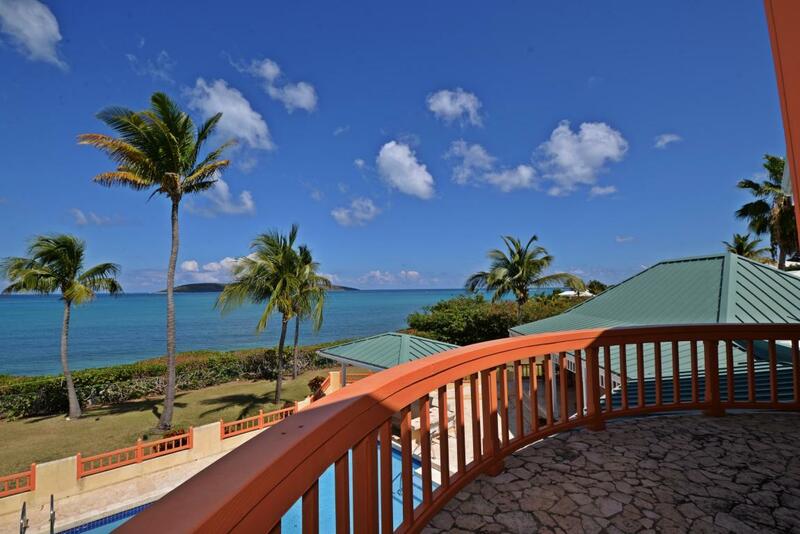 Costa de' Este is a spectacular four-bedroom, four and a half bath beachfront villa situated on the east coast of St. Croix with straight on Buck Island views. 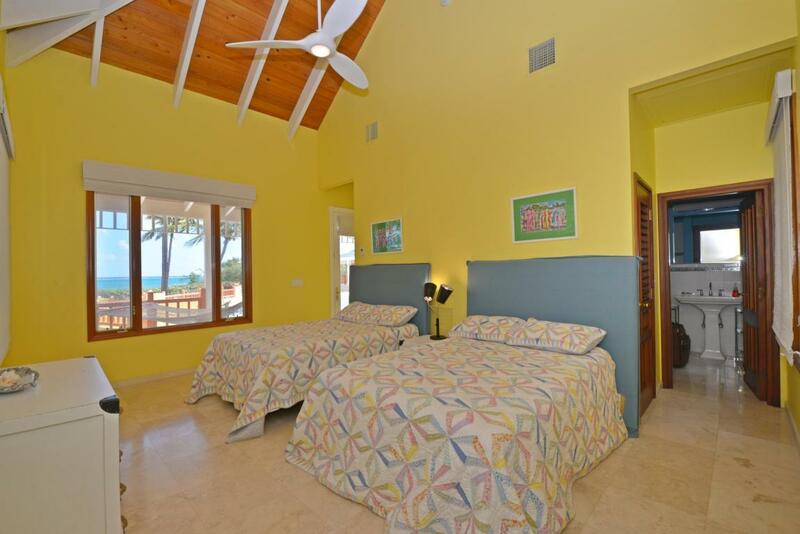 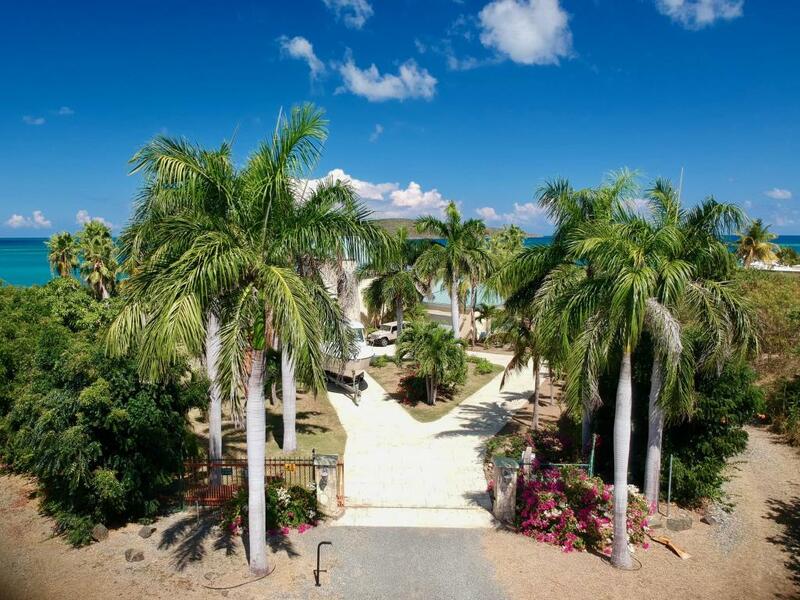 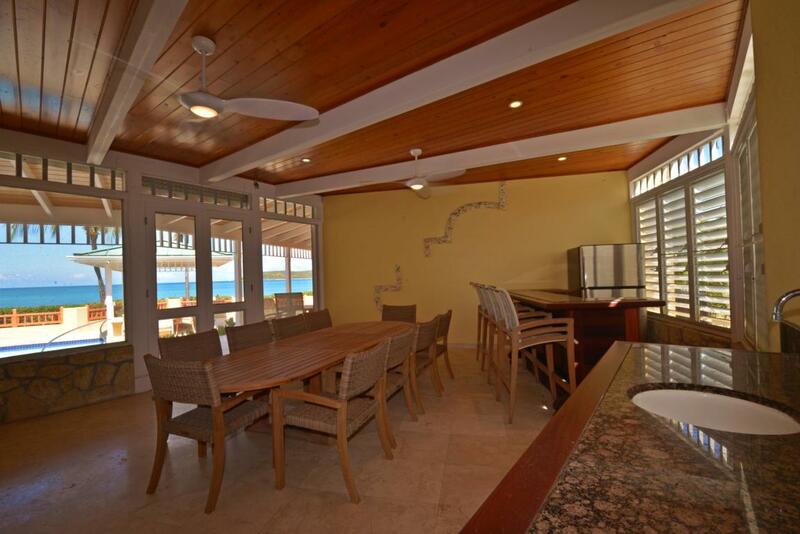 The sandy beachfront is just steps from the sunny veranda and swimming pool. 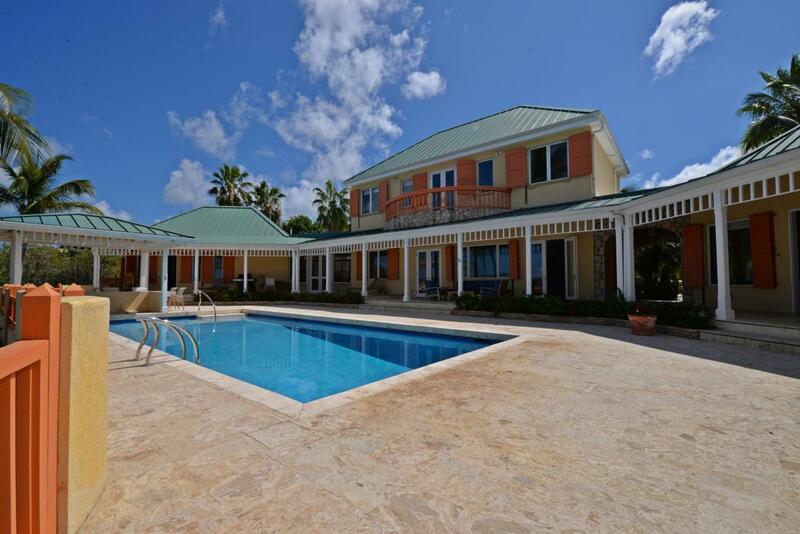 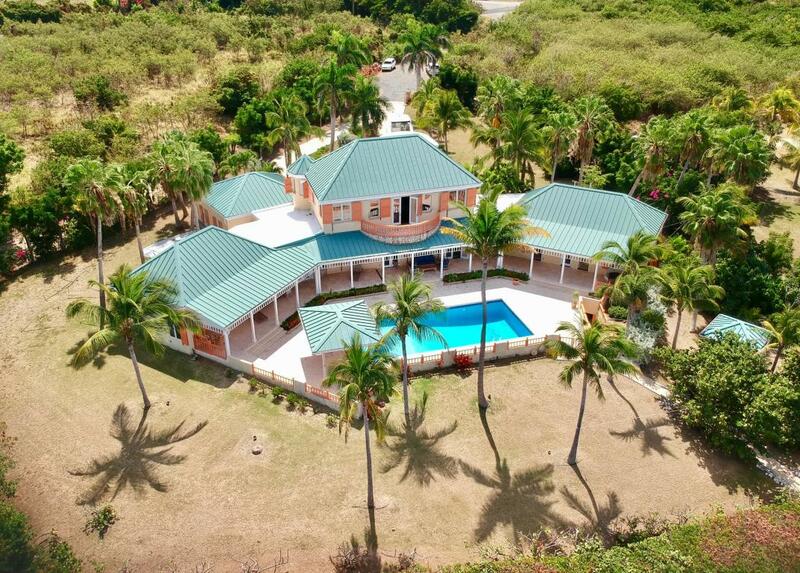 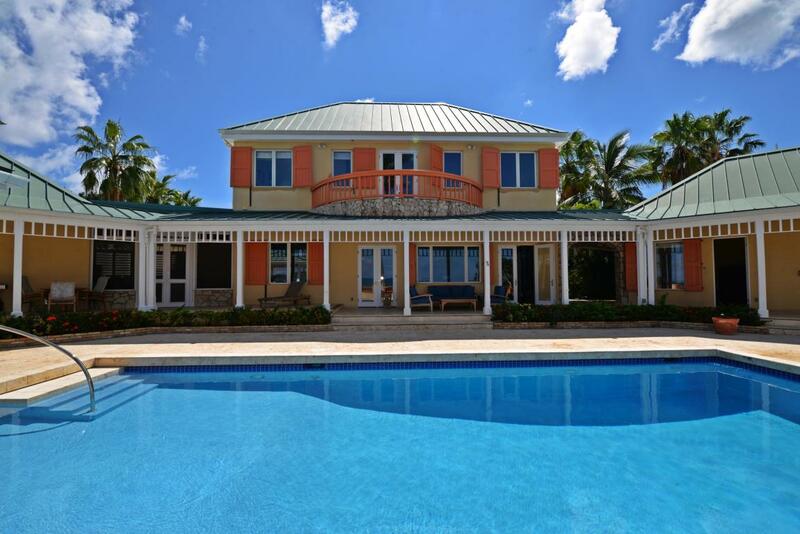 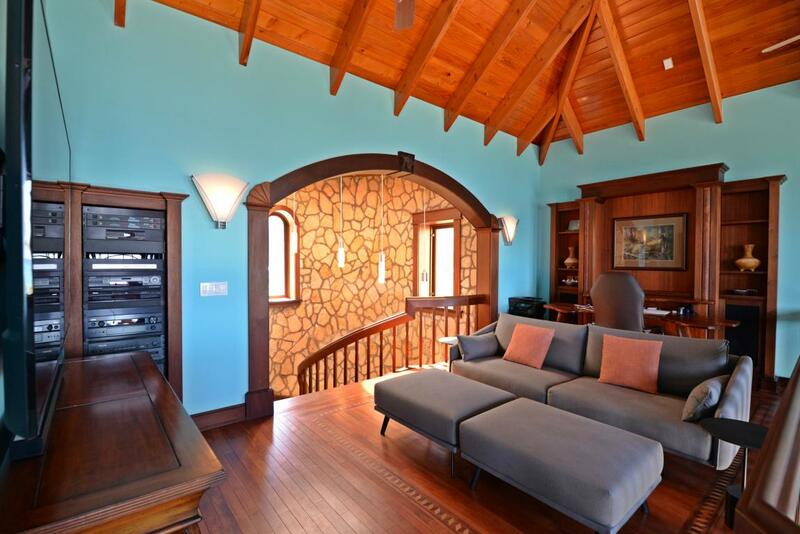 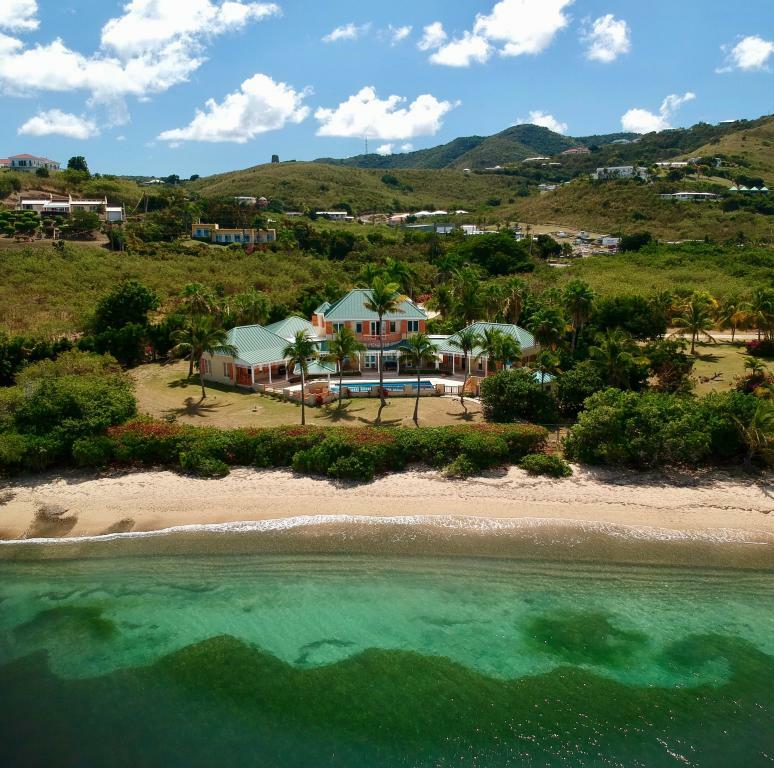 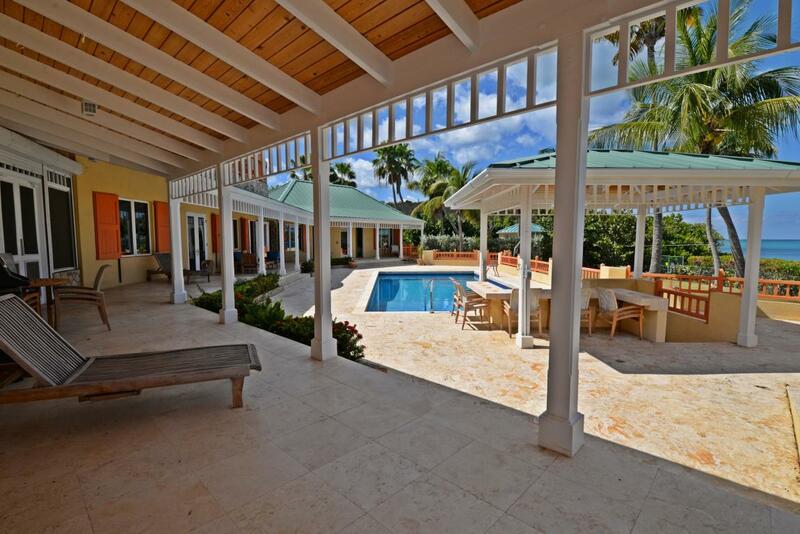 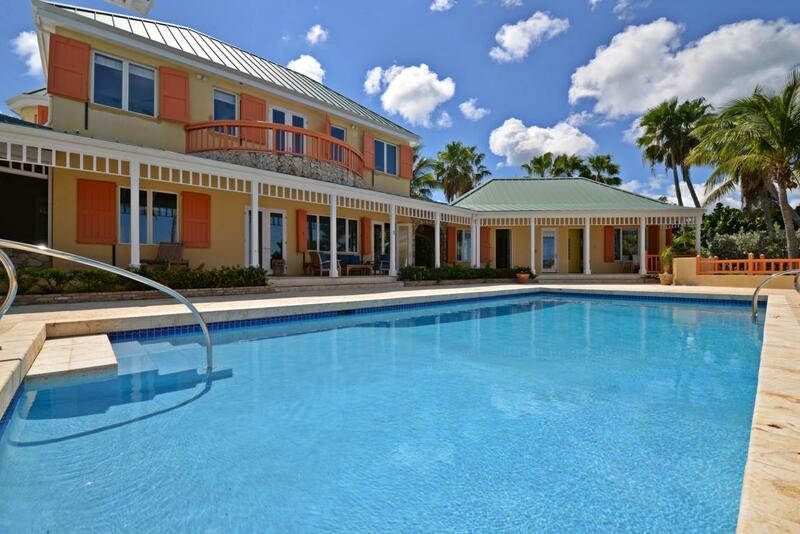 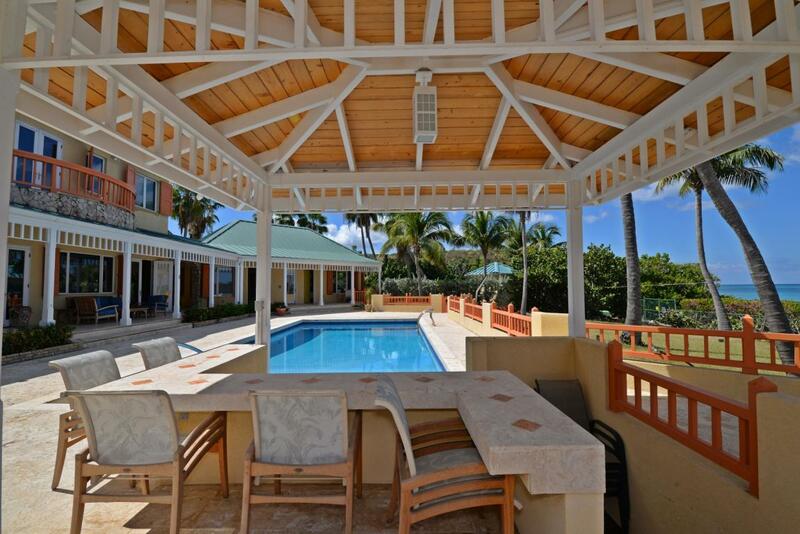 The villa combines the splendors of historic St. Croix by incorporating a Danish inspired Sugar Mill into the architectural design with high-end contemporary comforts. 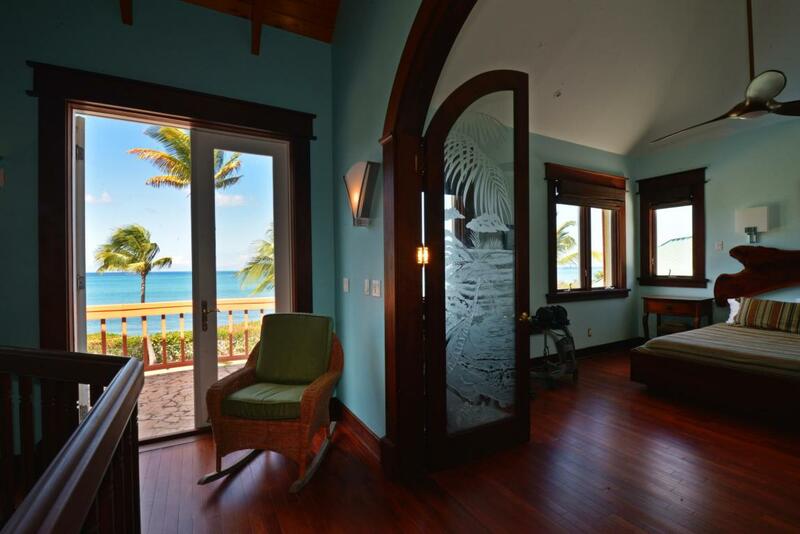 An expansive gallery frames the sun drenched terrace and swimming pool with poolside bar overlooking the blues of the Caribbean Sea. 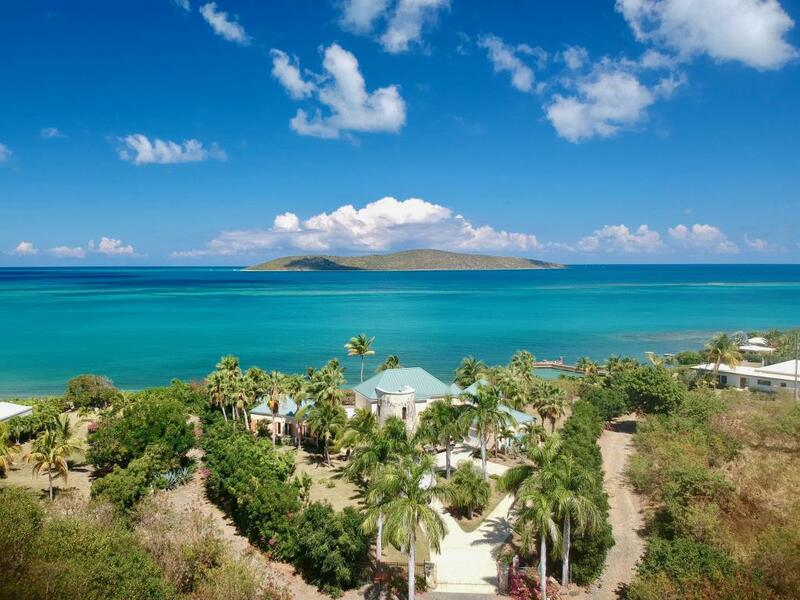 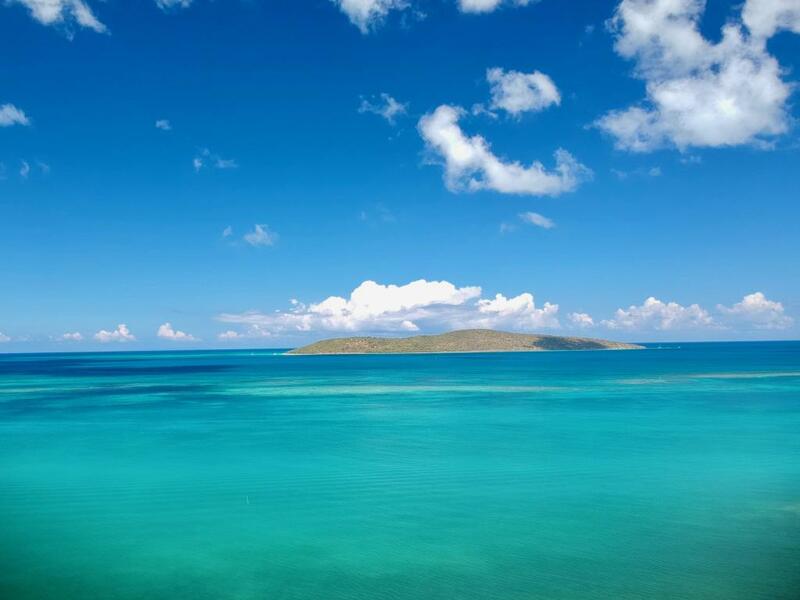 Step onto the white-sand beach to take a dip into the sea or enjoy a sunset stroll while watching the sailboats glide past on their way back from Buck Island. 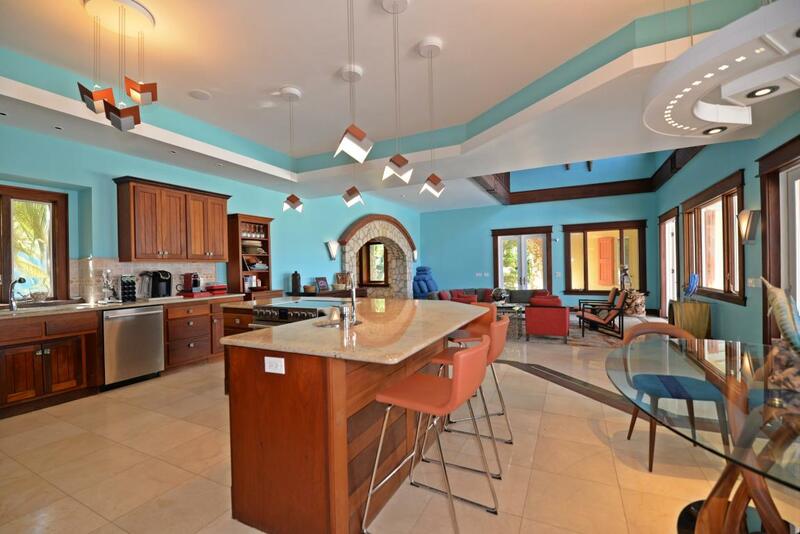 Gather for alfresco feasts under the shade of the gallery or in the screened in dining area with a custom built wet bar topped with granite located right off the kitchen. 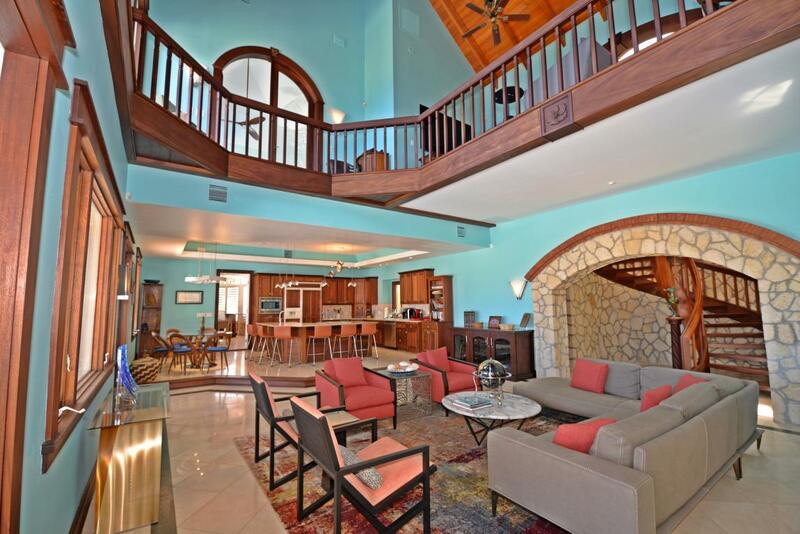 The great room includes a gourmet kitchen with wine cooler, dining area and generous living space with soaring ceilings that open out to the outdoors creating a seamless transition ideal for entertainment and relaxation. 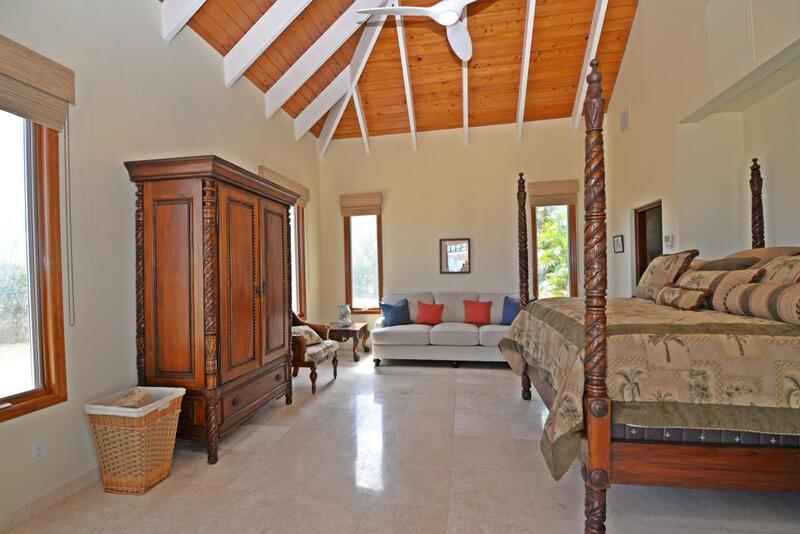 Let the breeze wash over you as you sip wine on the gallery or cook a delicious meal in the beautiful kitchen. 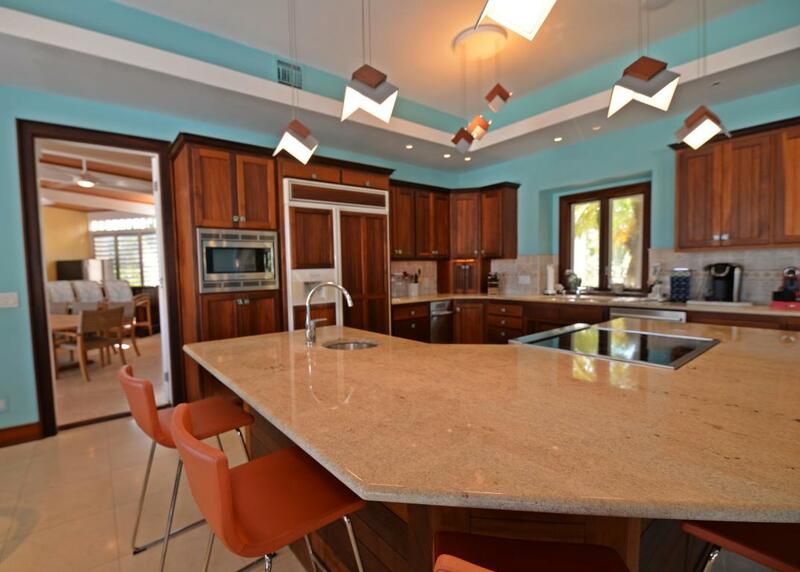 The finishes throughout are exquisite, including Mahogany wood accents containing the winding spiral staircase, Travertine, marble and coral stone flooring and gorgeous kitchen granite countertops that compliment the mahogany cabinetry. 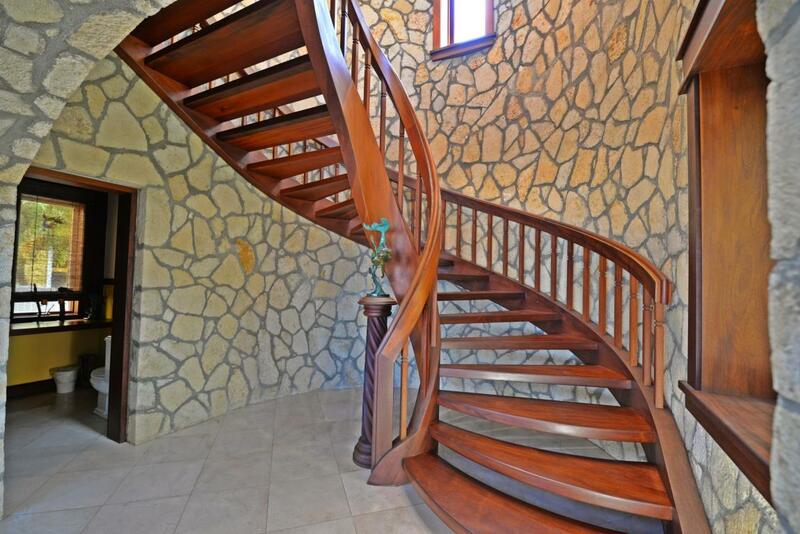 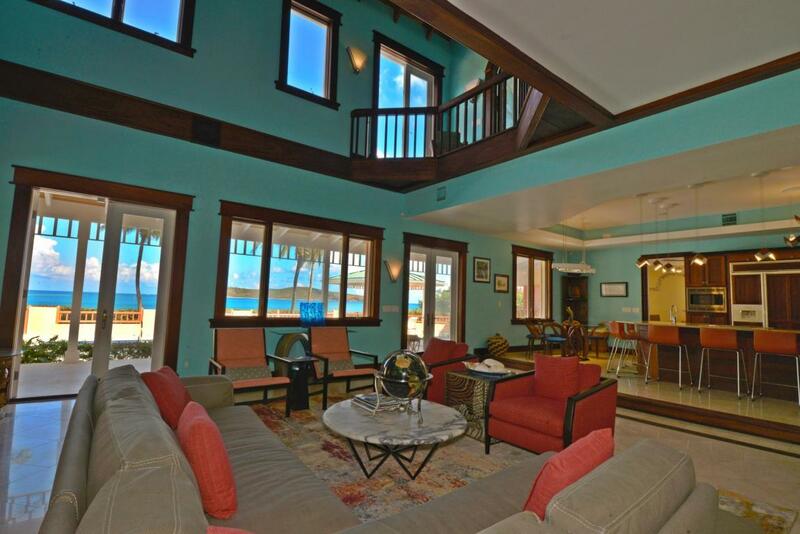 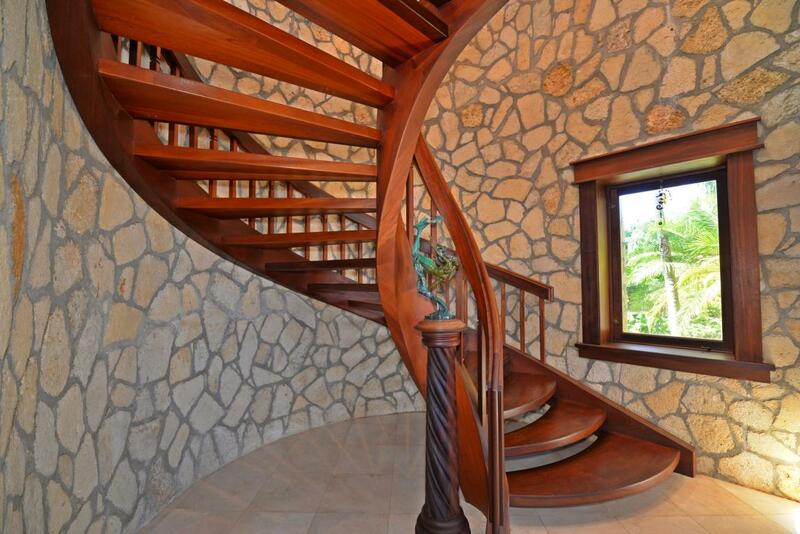 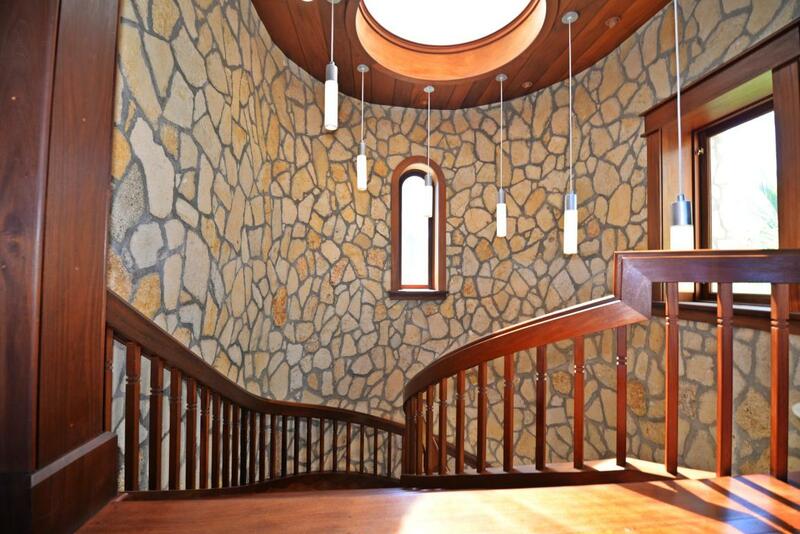 A spacious loft floats above the great room located at the top of the spiral, mahogany staircase. 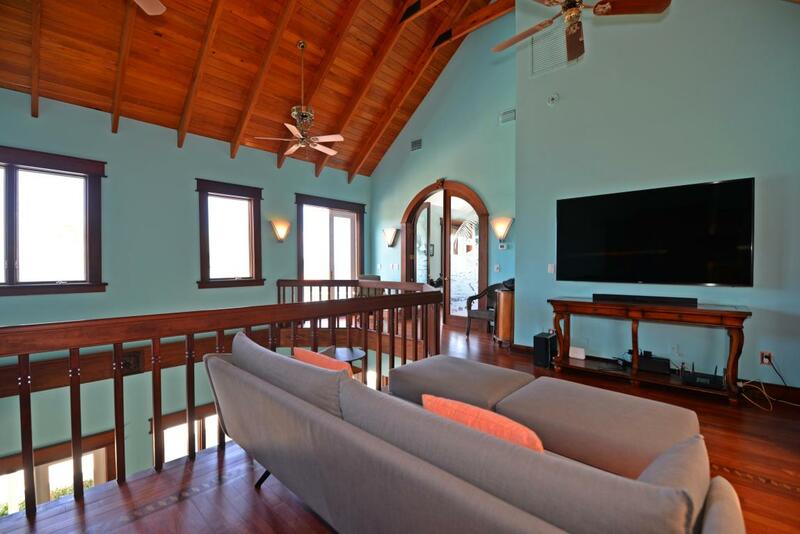 The upper-level loft, looking out to endless views of the sea and down to the living room, is currently designed as a cozy, TV room and classy office. 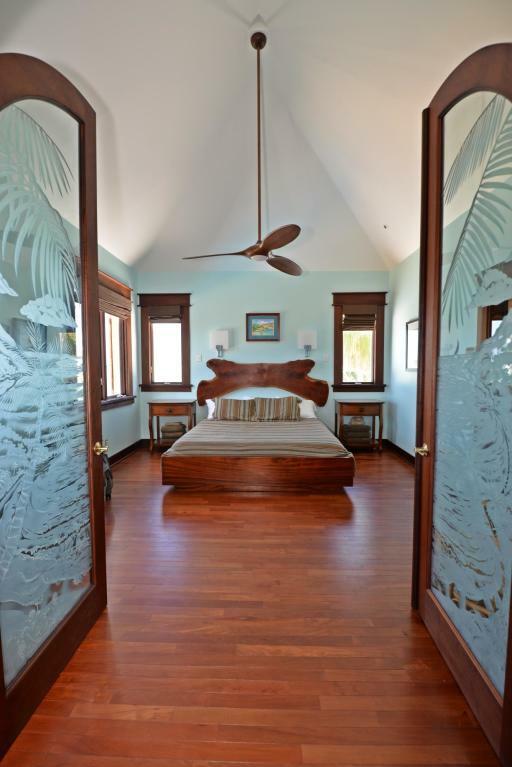 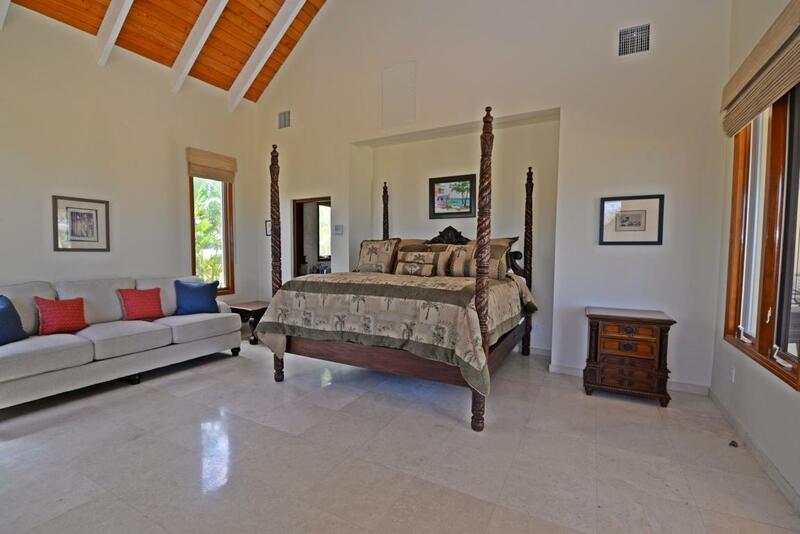 The loft wraps around leading to one of the master bedroom suites and opens to a balcony that looks out over the pool and Buck Island. 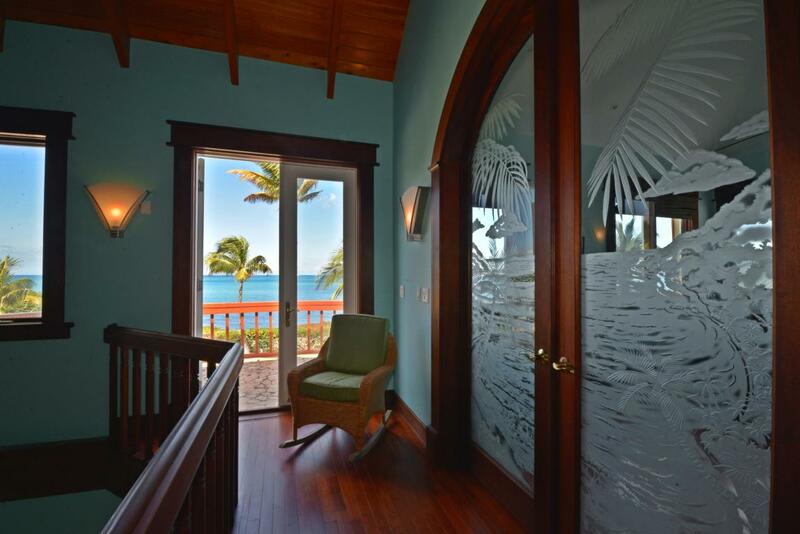 The entrance to the upper-level master suite is quite grand with its arched mahogany doorway complete with intricately etched glass panels. 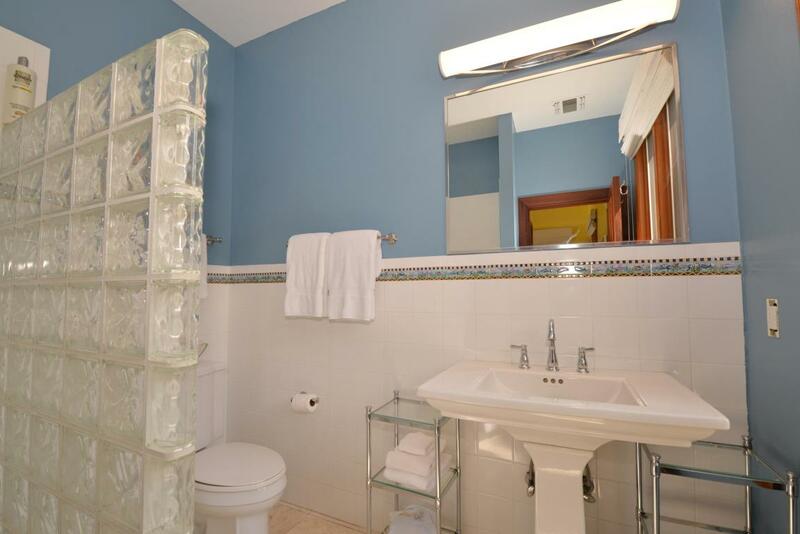 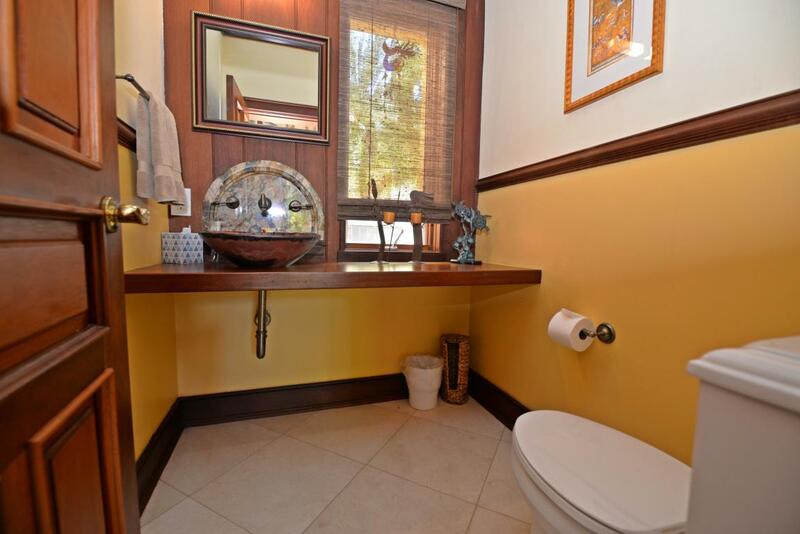 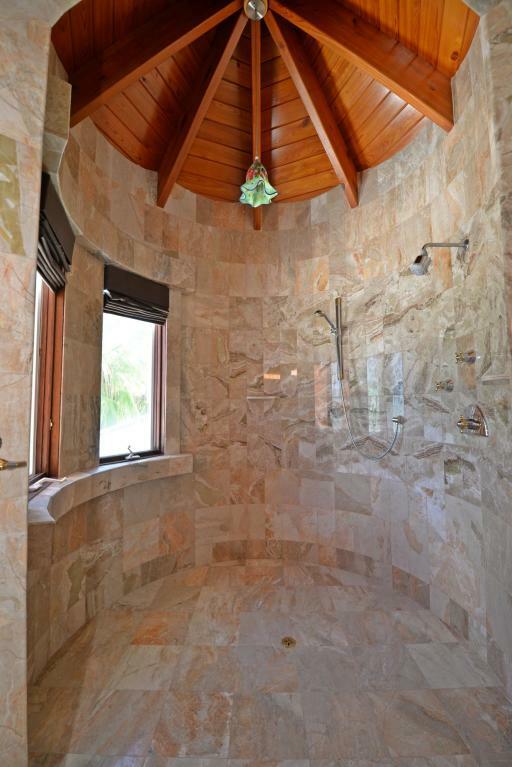 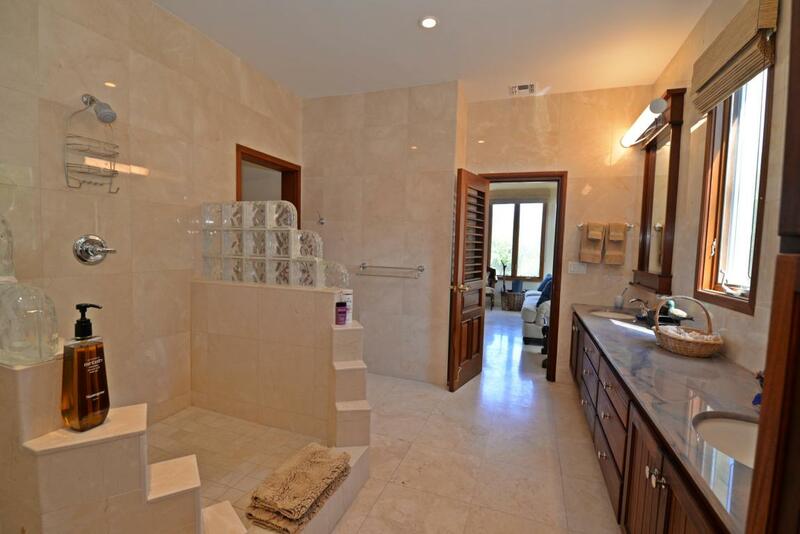 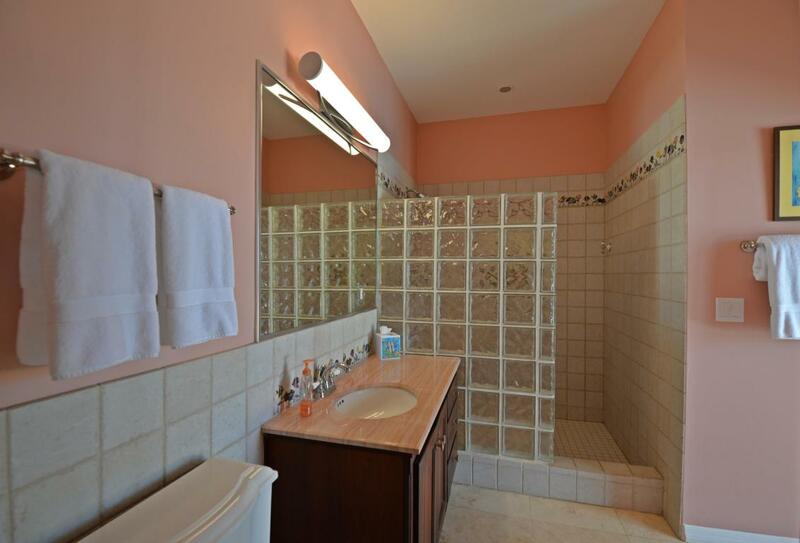 The en suite bath is outfitted with beautiful finishes, a curved shower with natural light, double sinks and a beautiful Caribbean inspired mural graces the bathroom ceiling. 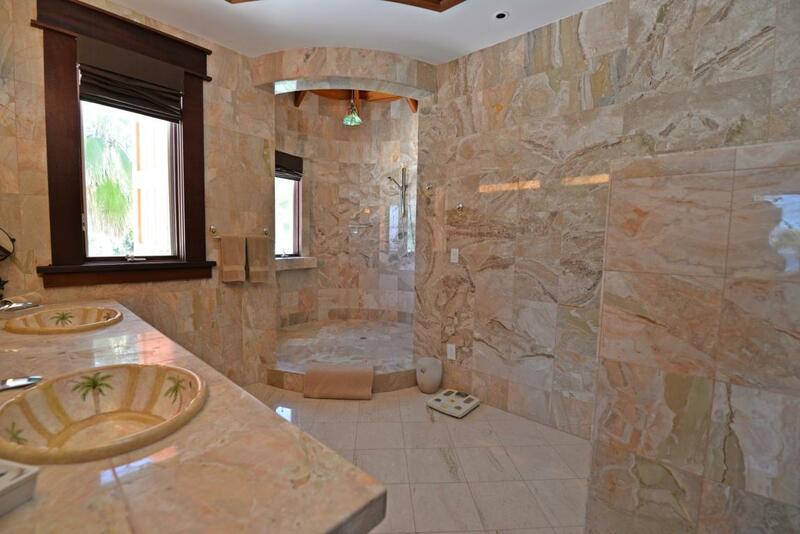 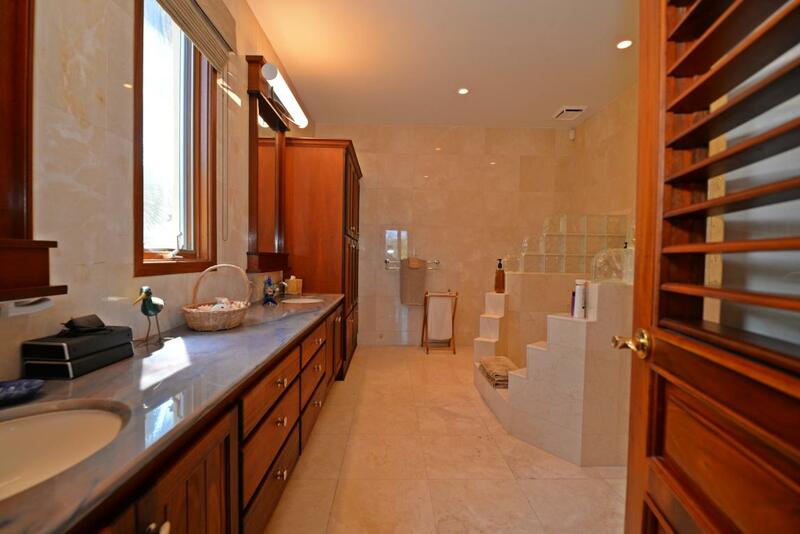 The lower-level master suite is located on the east side of the home with a private entrance off of the gallery and a grand bath-en suite. 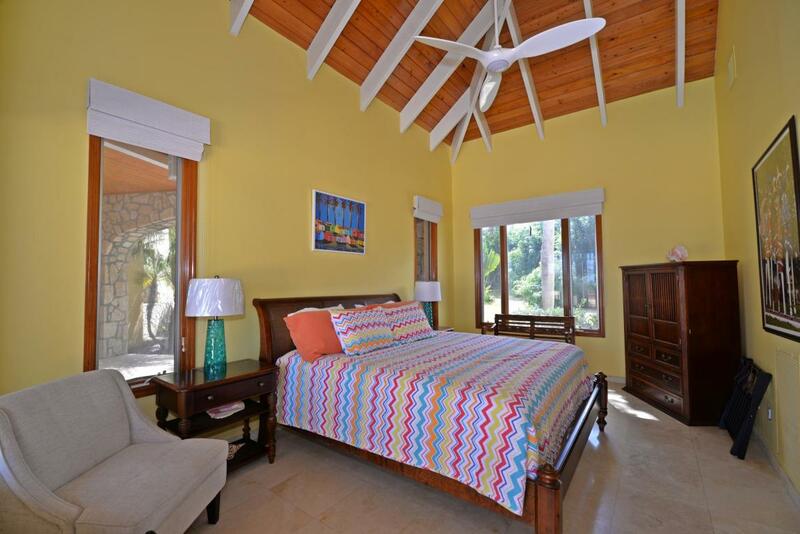 The two guest bedrooms with baths en suite, are situated on the opposite end of the home on the west side, can be enter from the covered gallery. 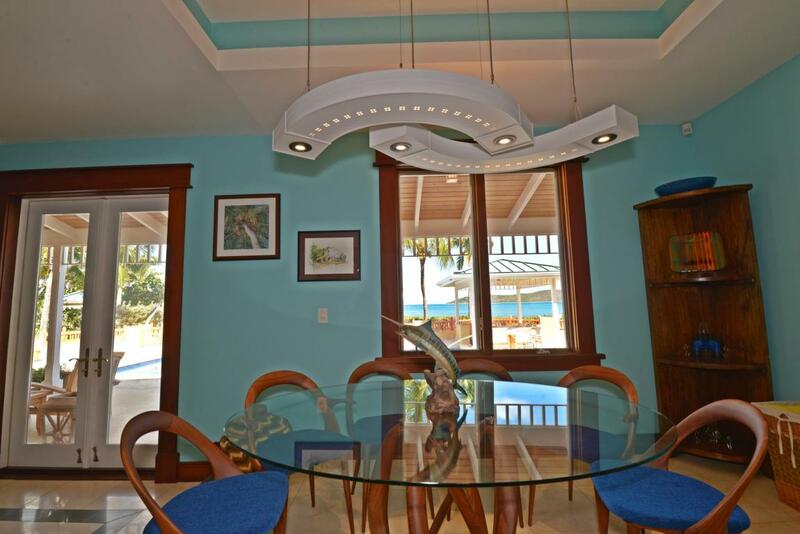 All three have beautiful sea views and easy access to the gallery, veranda and swimming pool. 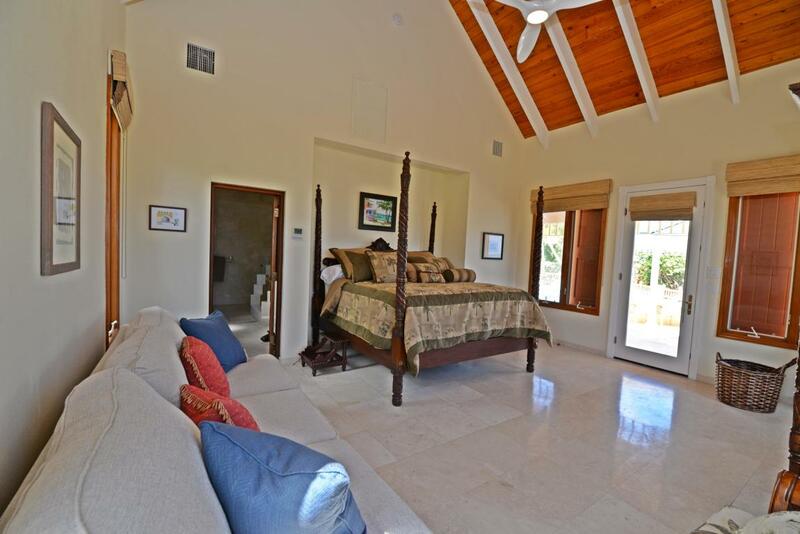 One of the guest bedrooms opens directly to the gallery and pool veranda. 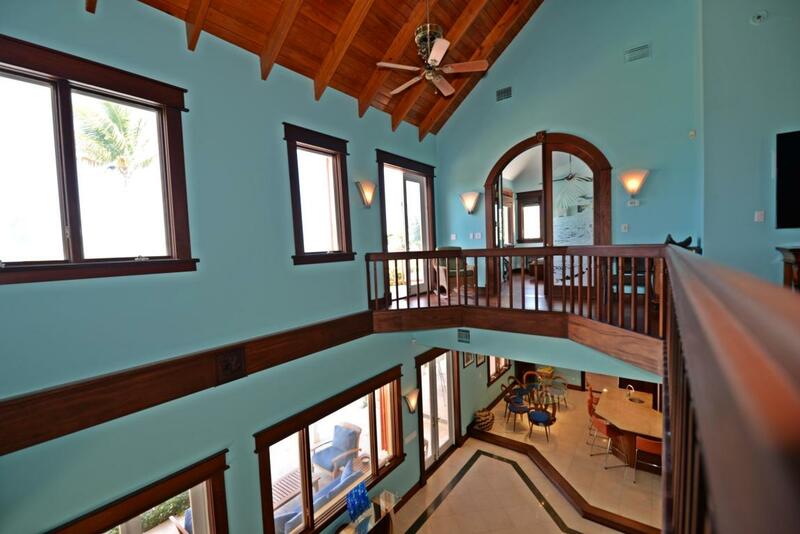 Additional features include a three-car garage, half bath off of great room, laundry room, impact glass windows and doors with wood Caribbean shutters, two cistern chambers, each 20,000 gallons, reverse osmosis system, two wells (one on the property and one on the adjacent property parcels) and 25 KW automatic, diesel generator. 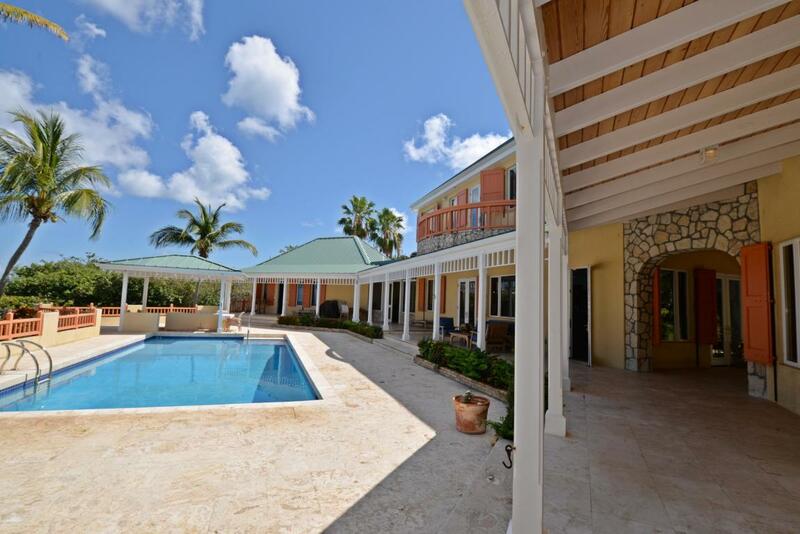 The property includes plots 5K and 5L (see documents) for added privacy between you and the other homes. 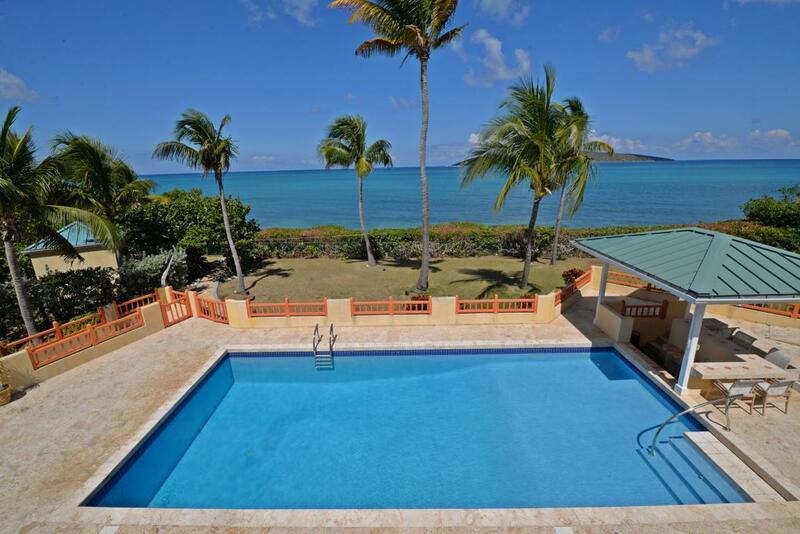 Beyond the private paradise of Costa de' Este, you're within easy reach to fine dining at Duggan's Reef and many other options in downtown Christiansted, hiking to gorgeous snorkeling spots, catching a charter from The St. Croix Yacht Club or Green Cay Marina or enjoying luxury, resort amenities at The Buccaneer including spa treatments, world-class golf or tennis clinics with tennis pros.